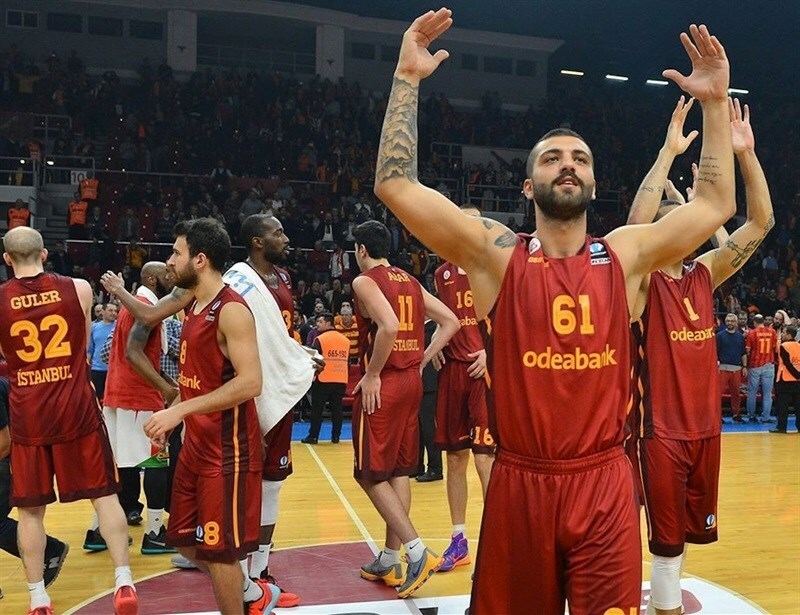 Galatasaray Odeabank Istanbul is the first Eurocup quarterfinalist after topping fellow Turkish side Pinar Karsiyaka Izmir 93-65 in Eighthfinals Game 2 on Tuesday in Istanbul. 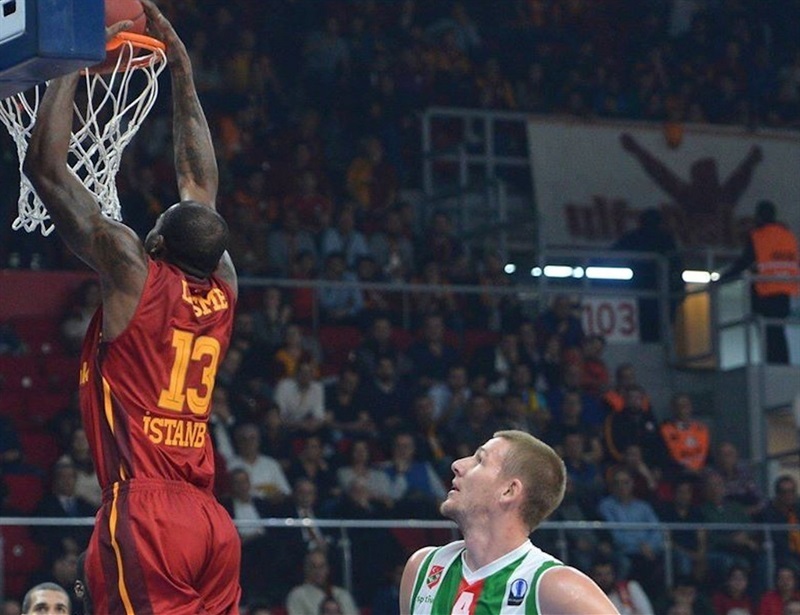 Karsiyaka won Game 1 last week 67-64, but Galatasaray overcame the deficit and won the series by 25 points on aggregate. The hosts pulled away in the second quarter with an 11-0 run. 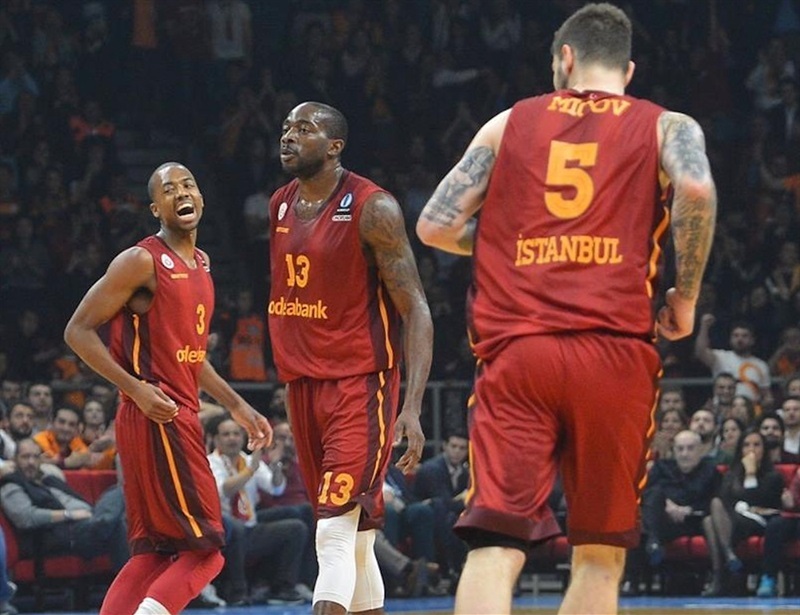 With Errick McCollum scoring 16 points in the first half, Galatasaray led 43-32 at halftime, then opened a 20-point margin behind Vladimir Micov and Stephane Lasme in the third quarter. The hosts increased the margin to 79-54 after 100 seconds in the fourth quarter, and cruised to victory and a place among the last eight teams in the competition. McCollum finished with 21 points, 7 assists and 5 rebounds to lead six Galatasaray scorers in double figures. Blake Schilb netted 17 with 5 assists, Micov and Lasme each had 13 points plus 7 rebounds. Caleb Green also scored 13, while Chuck Davis had 11 points and 7 boards in victory. Kenny Gabriel had 18 points for Karsiyaka, and Can Altintig contributed 10 points in the losing effort. The teams traded blows in the early going. Colton Iverson had 6 points and Gabriel scored a pair of buckets for the visitors, but Lasme and McCollum combined to score 11 and helped Galatasaray to a 15-10 lead. Altintig quickly reduced the deficit, before Schilb and Gabriel traded three-pointers to make it 18-17, and Lazeric Jones scored a basket in the final minute for Karsiyaka. The teams were tied at 20-20 after the first quarter. McCollum's 5 points – including a three-point play – and a corner triple from Micov in an 8-2 run got Galatasaray to 28-24 in the second quarter, giving it a 1-point lead in the series. Another Gabriel basket and a put-back by Kerem Gonlum tied things up again, but Green, Micov and McCollum hit back-to-back-to-back threes, giving Galatasaray a 39-28 advantage on the night and an 8-point lead on aggregate. Kenan Sipahi snapped an 11-0 run, but the hosts extended the margin to 13 points with McCollum assisting Green for an easy slam, before Gabriel's dunk cut it to 43-32 at halftime. Davis and Micov with a floater extended it to 47-32 at the start of the third. Gabriel nailed a three on the other end, and after Jones and Micov traded three-pointers, Lasme’s fastbreak dunk opened a 54-38 lead midway through the third quarter. After a timeout, Galatasaray broke the 20-point barrier with another basket from Lasme, and Schilb’s basket made it 60-40, also giving the hosts a 17-point lead in the series. Bracey Wright hit from downtown for Karsiyaka, and Altintig drove for a layup to cut it to 62-47. But after a timeout, Green buried a corner triple, and Schilb made a basket-plus-foul, and the hosts held comfortable 70-51 margin going into the final 10 minutes. Gabriel hit a triple for the visitors, but Guler answered right back from downtown, hit jumper as well and then ran a fastbreak and dished to Green who opened a 79-54 margin on the night and put Galatasaray up 22-points in the series with 8:19 to go in Game 2. Soner Senturke scored twice inside for the visitors, but not before Schilb’s triple opened an 84-57 lead. 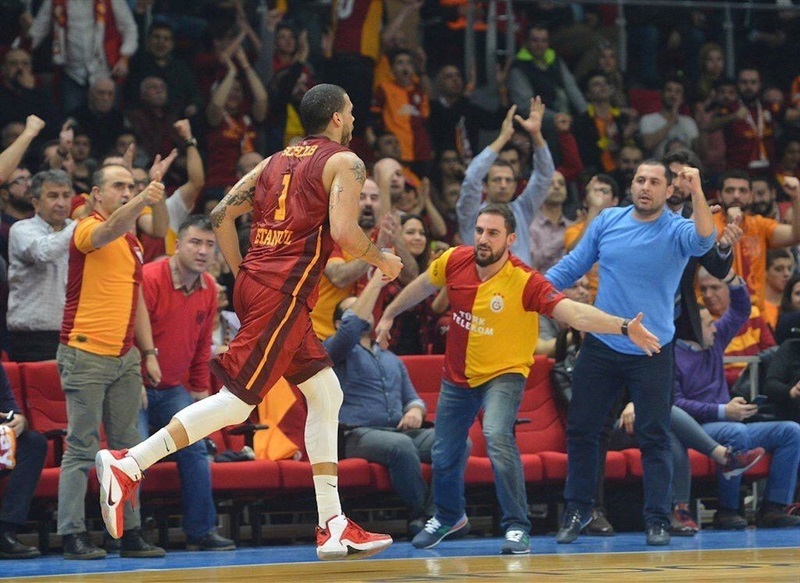 Iverson had a put-back for the visitors, and Davis a three-pointer for the hosts, as most of the points in game’s final stretch came from the free throw line, but with the winner long decided and Galatasaray’s fans celebrating a big victory. 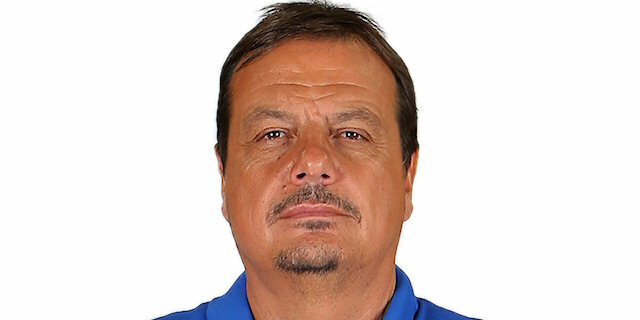 "Our players played like lions. I'm proud of the all team. Today, our fans were amazing. Pinar Karsiyaka is a team that you shouldn't underestimate. The first quarter was an even game. But after that, Errick took responsibility. I congratulate our team. I have to thank our fans for this atmosphere." "We could have won this game, but Galatasaray Odeabank was stronger than us today. 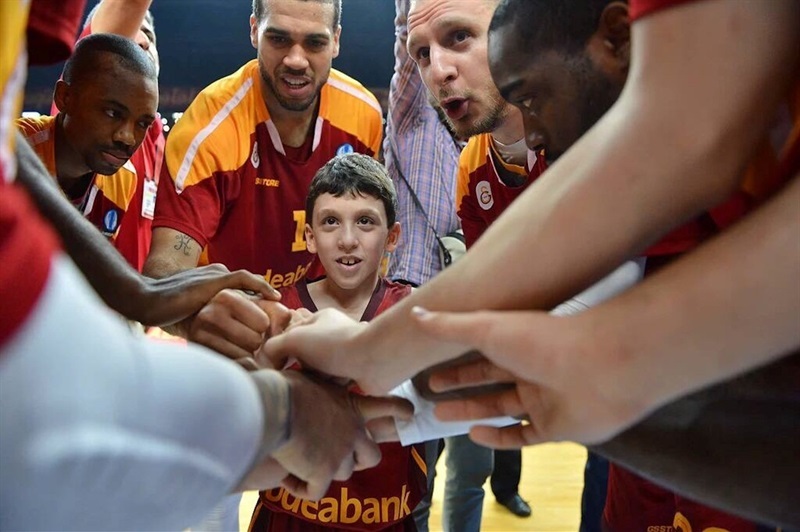 Good luck to Galatasaray Odeabank in the next rounds. We will focus on the Turkish League. "